Jordan and Matt’s wedding at Lunch Rock at Winter Park Resort, Colorado was one of my favorite days ever!! If you’re looking for an awesome mountain venue in Colorado - seriously check out Lunch Rock!! It is one of the coolest venues I have ever been to. We started the day at Jordan and Matt’s AirBnb in Winter Park where they got ready and we did the cutest first look ever in the woods nearby the cabin. From there we took a shuttle to the venue with all of their friends and family which was so fun!! We even took a ski lift to the venue!!! 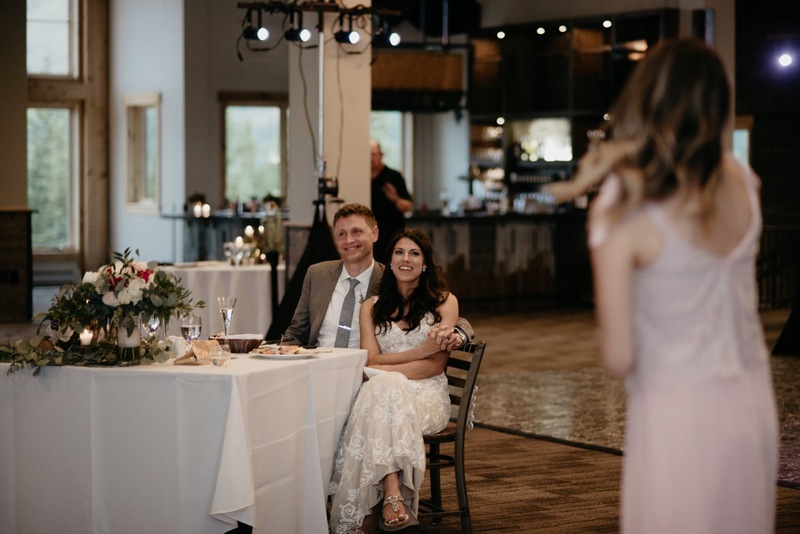 They got married at the top of the Mary Jane ski mountain at Winter Park Resort, and their ceremony site had the most jaw dropping views ever!!! They also had the most fun reception afterwards up there surrounded by all their friends and family. Like how often do you have your 100 closest friends and family all together on top of a ski mountain in Colorado to celebrate you?! It was so much fun!! I loved getting to know these to over the past year and it was so fun being a part of their day. If you wanna see more of these two cuties, you can check out their winter engagement session at Sapphire Point here! !